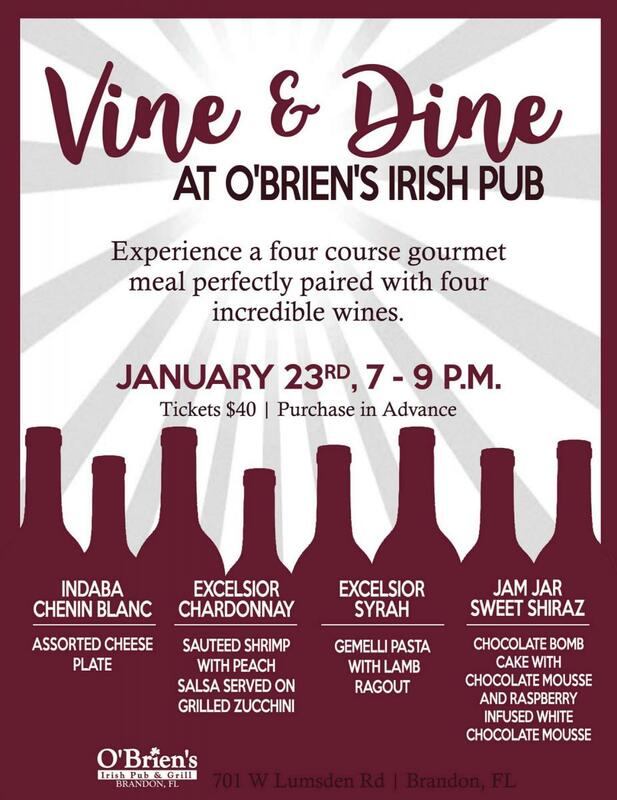 Join us for our first Vine & Dine event at O'Brien's. Our team selected an amazing menu paired with four incredible wines. Date: January 23rd, 7 - 9 p.m.
Jam Jar Sweet Shiraz paired with a chocolate bomb cake with chocolate mousse & raspberry infused white chocolate mousse. This event will sell out. Stop by to purchase your ticket today.